You may need to put in a little effort with this TC effort, but it is well worth the trouble. 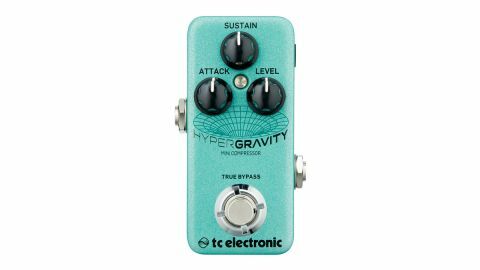 If you’re not prejudiced against digital effects and want a compressor that’s light on the pedalboard and the wallet, this could be for you. It’s a multi-band compressor that uses the same MD3 algorithm as TC’s studio System 6000 unit. It takes some tweaking to dial in a sound that doesn’t darken the tone of the guitar or give the impression of it being ‘thinner’ due to too much attack, but the results are worth the effort - especially as, for the most part, compressors are ‘set and forget’ pedals. It’s also TonePrint compatible, if you want to edit the parameters on your computer.